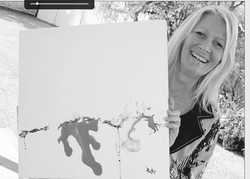 Ruby Purple is an internationally recognised mixed media artist based in Queensland Australia. Her work signifies the preservation of our environment through connecting. ​She layers handmade papers, canvas, fabric and natural fibres with textural variances representing highs and lows in emotional experiences which connect to place and our ever-changing environment. With a background in connecting with people she has studies in art, graphic design and interior decorating, counselling and office administration. Her creations are held in private collections Locally, Nationally and Internationally. 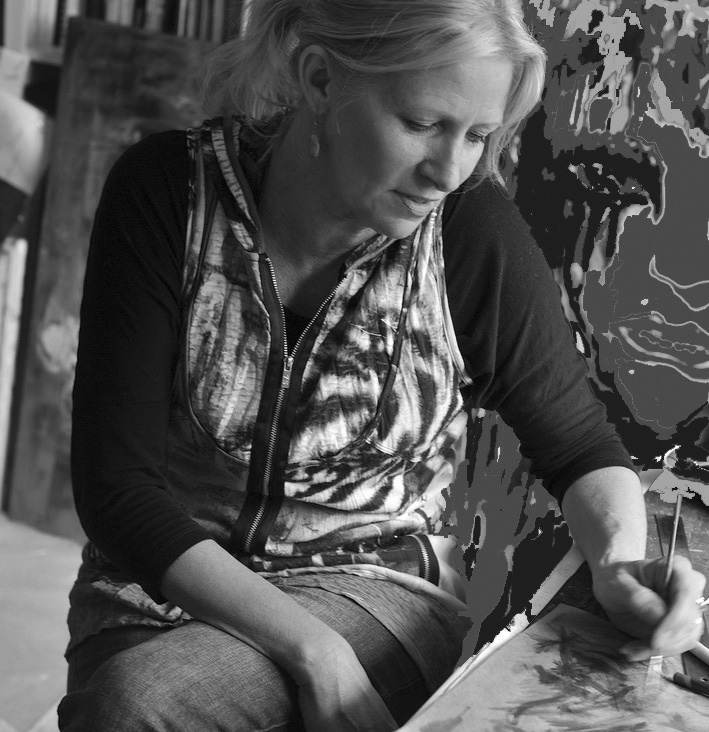 Her work thrives on colour, texture, layering and mixed media. She'll paint and create on just about anything! From mural painting to small scale works, wearable garments, scarves and earrings. ​Ruby Purple's journey began as a gift of some art lessons from her husband a decade ago, although she's not sure he's so happy about that now with the walls of their home covered art! She's a creator and a collector. 'artists supporting artists' she says. Ruby Purple 'pseudo' to disguise her real identity. Why? So when she first began the art journey she'd get honest open critique. She invited her family to attend her early exhibitions, ask their opinion, knowing they would give it freely, an not knowing it was her they were evaluating. What an entertaining way of gaining insight into her arts practice. Now everyone knows her as Ruby Purple! 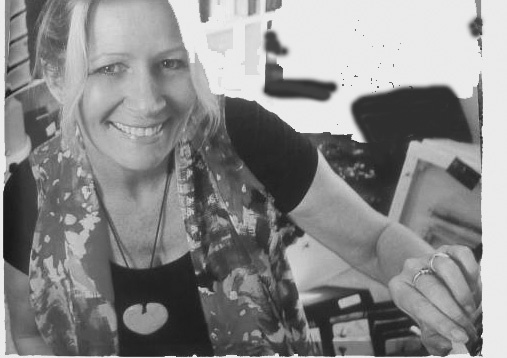 ​With her first exhibition taking place in Newstead in 2011, she's has developed her brand through social media, exhibitions, workshops, wearable art and traveling the globe. ​She is mentor to some, and an inspiration for others, loves sharing what she knows and connecting people. Keep an eye out on 'What's Ruby doing?' She's always up to something! ​Ruby's so grateful to be doing what she loves! 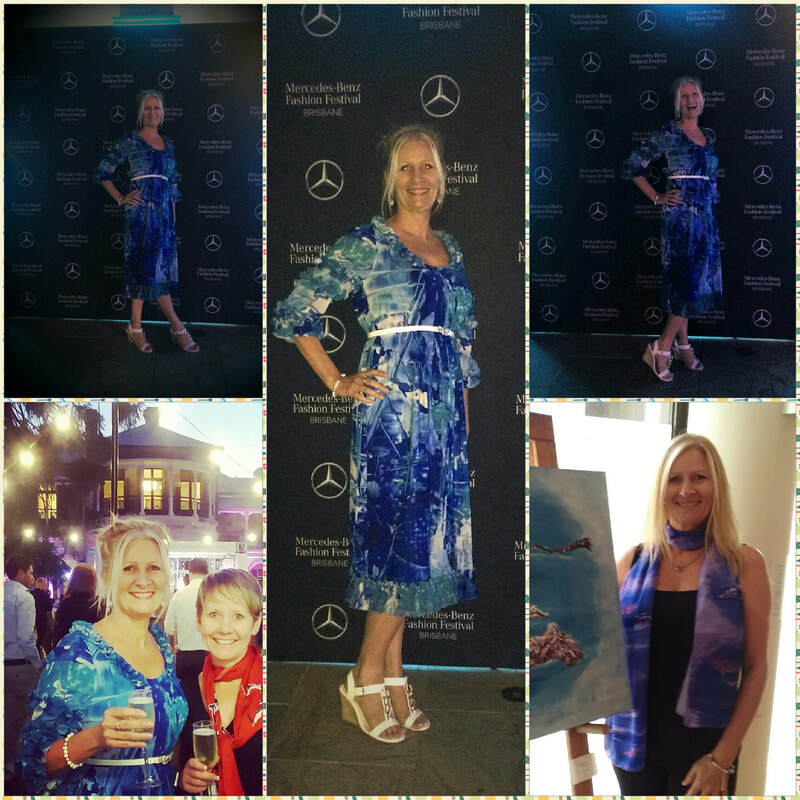 Ruby Purple, wearing bespoke RPC designed dress, artwork transposed to fabric, & friend wearing RPC scarf at MBFF 2017! 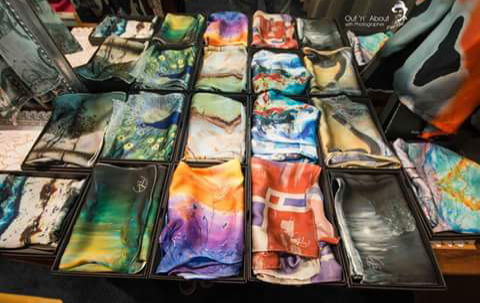 ​Some of Ruby's Australian made Vegan-friendly scarves. Copyright © 2019 Ruby Purple Creations. All rights reserved.